OLIVE is a high performance street or off-road bike designed by SOLAR BIKE that has a step-through frame geometry for ladies and gentlemen looking for ease with getting on and off. If you are riding this bike off road then we recommend converting to a set of knobbly off-road tyres and it will be a great performer. Otherwise, for on-road use this is simply a great general purpose bike that uses top end parts. 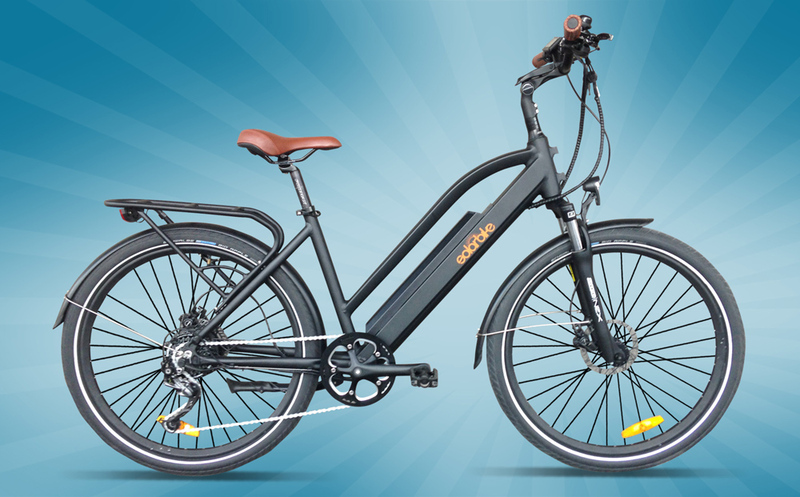 It has Alivio gears, Tektro front and rear hydraulic disc brakes, the proven BAFANG hub motor and a top spec PANASONIC high capacity lithium ion battery. Couple all of this to some nice extras like front and rear integrated bicycle lights, mug guards and carrier racks and you have a super bike that eclipses most similar bikes in its class and price range. The seat is designed for comfort and the handlebars come on a stem that can be easily adjusted to suit many riders with no tools needed. Power can be either by using only the pedal assist system, using only the throttle and any combination of the two – as well as by pedalling of course. We guarantee that you will like this bike if you ride it; having a top end lithium ion battery situated within the frame ensures that life time and handling performance and tip top.